The Los Angeles Police Department (LAPD) has announced that it will conduct two sobriety checkpoints in Hollywood this weekend, which precedes Halloween, according to a City News Service report. Obviously, all law enforcement agencies, including the LAPD, are ramping up operations knowing very well that Halloween is a holiday when increased partying and drinking can be expected. LAPD will conduct the first sobriety checkpoint between 8 p.m. Friday and 2 a.m. Saturday at Ventura Boulevard and Big Oak Drive in North Hollywood. A DUI checkpoint will also be held between 8 p.m. Saturday and 2 a.m. Sunday at Sunset Boulevard and Bronson Avenue in Hollywood. Los Angeles police are also advising weekend partiers to plan a safe way home before parties begin by designating a sober driver, calling a taxi, or using public transportation. Also, if you see someone who is intoxicated trying to get behind the wheel and drive away, take their car keys away and help them get home safely. The potential penalties for a DUI conviction in California are severe, including up to six months in jail, a fine of $1,600, a six-month license suspension, mandatory installation of an Ignition Interlock Device, and required DUI program attendance. If you get stopped or arrested while passing through a checkpoint, it is important that you understand your legal rights. If it is determined that you were improperly detained or stopped at a sobriety checkpoint, your charges may be dismissed. If you or a loved one has been accused of drunk driving in Los Angeles, Orange, or Ventura counties, please contact the experienced DUI defense lawyers in Los Angeles at Takakjian & Sitkoff. 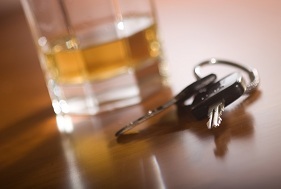 Call us at (866) 430-8383 to obtain more information about fighting drunk driving charges. Have a safe and happy Halloween.